RONIN: Rebel Stars #3 is Now Live! 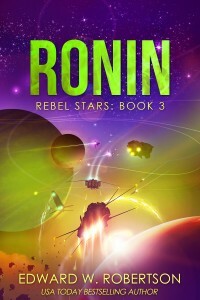 RONIN, Rebel Stars #3, is now live! You can find it just about everywhere: Amazon, Amazon UK, B&N Nook, iBooks, Kobo, Google Play, and paperback. I’m pretty pleased with this one—the plot takes a major leap forward, and sets the stage for the final phase of the story. That’ll take two more books to tell. I have to get back to some other series first, so look for the ending next year. Oh, and if you’re new to the series, for the next few days, REBEL (Rebel Stars #0) is just $0.99. (It’s on sale at every other store, too.) If you’re an audiobook person, check it out on Audible. Following RONIN, I’m working on a Sekrit Project, which should be out later this year. 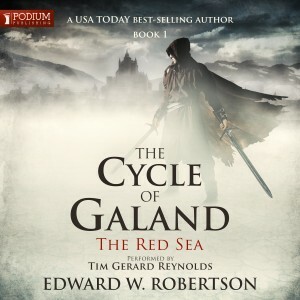 As soon as that’s wrapped up, I’ll be moving on to THE CYCLE OF GALAND #3. Expect that one sometime this fall. Well, if I want to hit those deadlines, I’d better return to work. As always, hope you enjoy the latest book. Drop me a comment if you’ve got any questions. THE SILVER THIEF Live on Audiobook! 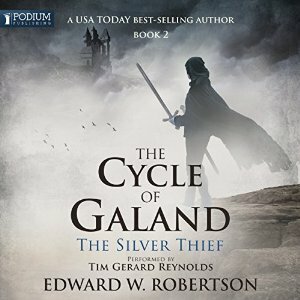 In case you hadn’t already preordered, THE SILVER THIEF: THE CYCLE OF GALAND #2 is now live on audiobook. 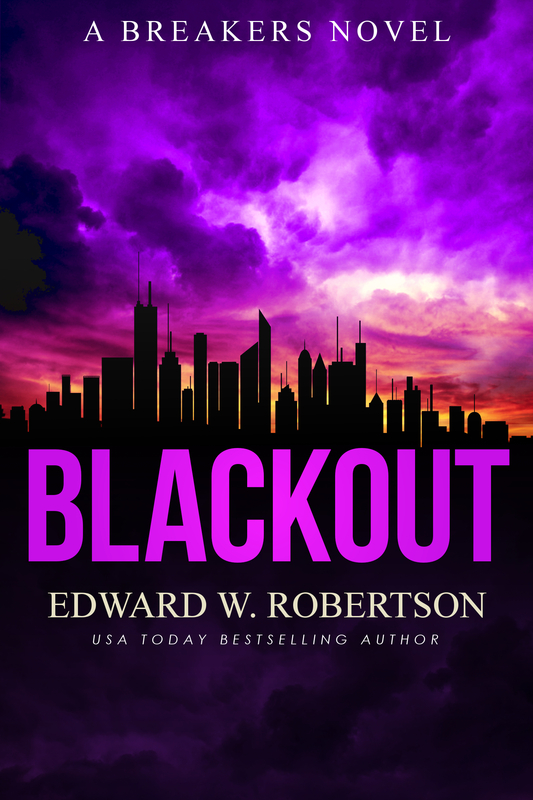 You can find it on Audible, Amazon, and iTunes. It’s currently doing battle with some truly mighty foes. Its next opponents may be too great a match to overcome…but Dante and Blays will battle to the end. For death and glory! Audiobook Release Date for THE SILVER THIEF! I have a release date! THE SILVER THIEF: The Cycle of Galand, Book 2 is coming to audio on May 24th. You can order it on Audible and Amazon. As with the previous books, THE SILVER THIEF is narrated by the immensely talented Tim Gerard Reynolds. I can’t say enough about Tim—he’s brought these characters to life. I hope I get to continue working with him for a very long time. Okay, back to work for me. As always, hope you enjoy. The 24th can’t come soon enough! The Cycle of Arawn is a 2016 Audie Awards Finalist! For audiobooks, the Audie Awards are kind of a big deal. They’re the format’s equivalent of the Oscars for movies, or the Hugos for science fiction and fantasy. And THE CYCLE OF ARAWN has been nominated for one. 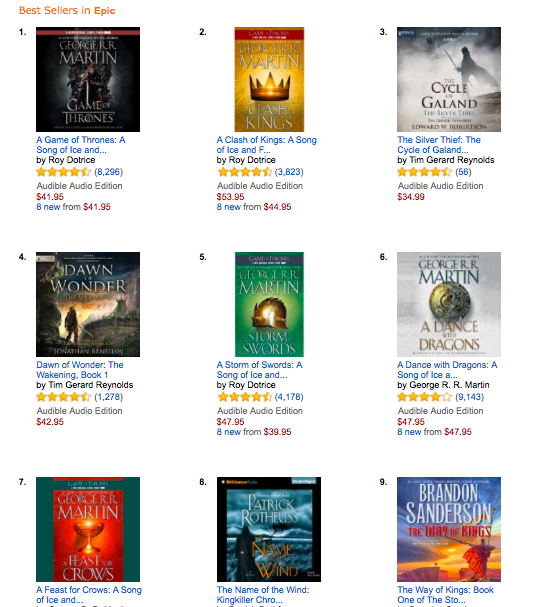 Best fantasy novel! I’m shocked and thrilled. Even in the midst of my initial euphoria, however, I knew a great deal of the credit belongs to my narrator, Tim Gerard Reynolds. 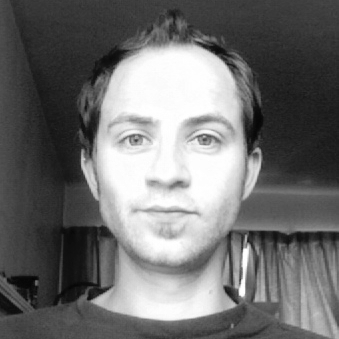 This is no false modesty: Tim’s up for an incredible three Audios this year. 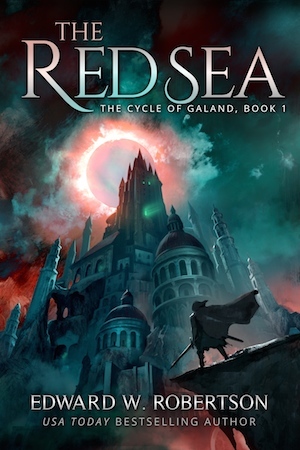 Besides ARAWN, he’s also been nominated for Larry Correia’s Son of the Black Sword, and Golden Son, the second book of Pierce Brown’s incredibly popular Red Rising trilogy. Tim’s talent is remarkable and I’m extremely lucky to have his voice reading my words. I have a feeling he’s on the verge of becoming a superstar. You know who else has three nominations? My audiobook publisher, Podium. Back when I signed with them, it was a bit of a gamble, as their track record was very limited. Since then, however, they’ve racked up all kinds of award nominations and incredible titles, including the #1 selling digital audiobook of all time, THE MARTIAN. You might fairly label THE MARTIAN as an outlier, what with the whole “Hollywood movie up for a Best Picture Oscar” thing, but Podium’s produced multiple legit bestselling audio series. Along with THE CYCLE OF ARAWN, they’ve also put out Stephen Moss’ FEAR SAGA and Joshua Dalzelle’s BLACK FLEET trilogy, among several others. At this moment, they’ve got 200 titles up representing dozens of authors. The road with them hasn’t been without its bumps, but I couldn’t be happier with my decision to sign with them. Anyway, win or lose, I’m completely honored to be nominated. Winners will be announced at the Audies Gala on May 11. I can’t wait to hear the results. Hear ye, hear ye! 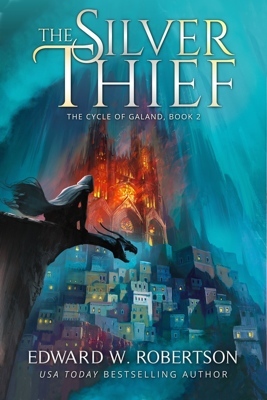 THE SILVER THIEF: The Cycle of Galand #2 is now live (almost) everywhere. You can find it on Amazon, Amazon UK, iBooks, B&N Nook, Kobo, Google Play, and paperback. The previous book, THE RED SEA, can be found on Amazon. This was a fun one to write. I got to expand the world in two or three different dimensions, which is one of the major advantages of writing several books in the same universe. 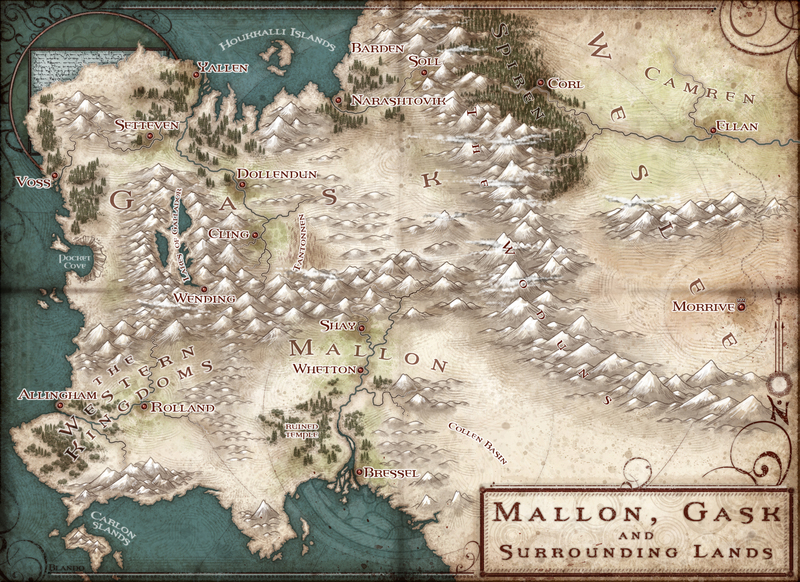 It feels like I get to put more and more “epic” into “epic fantasy” as the series goes on. Additionally, unlike THE CYCLE OF ARAWN, where each book was a self-contained story, with a few years taking place offscreen between each book, THE SILVER THIEF picks up directly where THE RED SEA left off. I’m looking forward to building a single long, sustained story with this. I wouldn’t be surprised if it requires four books rather than the trilogy I originally saw it as. Meanwhile, I’m sure a lot of you are wondering when THE RED SEA will be out on audiobook. I’ve got some good news: I heard from my publisher the other day, and while there’s still not a concrete date, it sounds like the preorder will be up shortly after the holidays, with the book going live not long after that. I’ll absolutely post here as soon as it’s available. 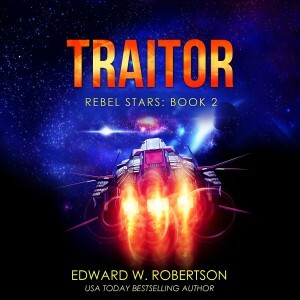 As for the next book in THE CYCLE OF GALAND, I have another project or two to finish first, including the next REBEL STARS book. If I stick to my typical schedule, that means Galand #3 will be out sometime this summer. If it continues after that, the fourth book should be out about six months after that (roughly a year from now). For now, then, happy holidays and enjoy THE SILVER THIEF. I’m thrilled to have been able to continue the adventures of Dante and Blays—I’m already looking forward to writing the next one. The BREAKERS series may be over…but the world goes on. And I’ve got a new story in it! 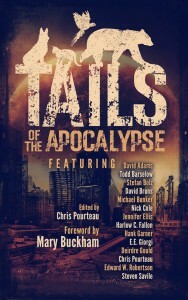 You can find it in TAILS OF THE APOCALYPSE, a new collection of stories featuring animals in the apocalypse. The book includes work from Nick Cole, Michael Bunker, and eleven others. And for the next few weeks, the publisher will be donating $1 of every sale to Pets for Vets, a charity that connects military veterans with shelter animals. Oh yeah: there’s also me. My story’s about a young Raina in the early days of the plague. The book is available for Kindle and in paperback. It was pretty fun to revisit BREAKERS, especially without the pressure of tying the story into a larger series arc. I definitely see myself writing a few more of these as time goes on. In particular, there’s a story implied by the end of BLACKOUT that deserves exploration. Yes, it’s the one you’re thinking of. I have some other things to write first, but I’ll be keeping that one in the back of my mind. In the meantime, hope you enjoy TAILS!